Books! The very word makes me smile! Real, honest- to- goodness, made of paper books. Not downloadable electronic books, but thick (or thin), hard (or soft), flip through the pages, open the cover, books! Books are a hot topic in our household. My husband Joey says that our household library is an obsession that is coming close to hoarding. Of course, I totally disagree! I would describe it as a lovely, cozy, well-stacked, collection. Although, to be fair to Joey, I do have to admit that our collection does seem to be growing at a rather alarming rate. It is possible that I may need another bookshelf soon…and another room to put it in…. It’s just that I keep finding so many wonderful books that I really have to bring home with me! Library book sales, thrift stores, flea markets, online stores….books just seem to jump out at me wherever I go and yell, “Rescue me! Read me! I’d look lovely on your bookshelf!”. Unfortunately, I just can’t seem to let those lovely old volumes just lie there. I feel obliged to bring them home. 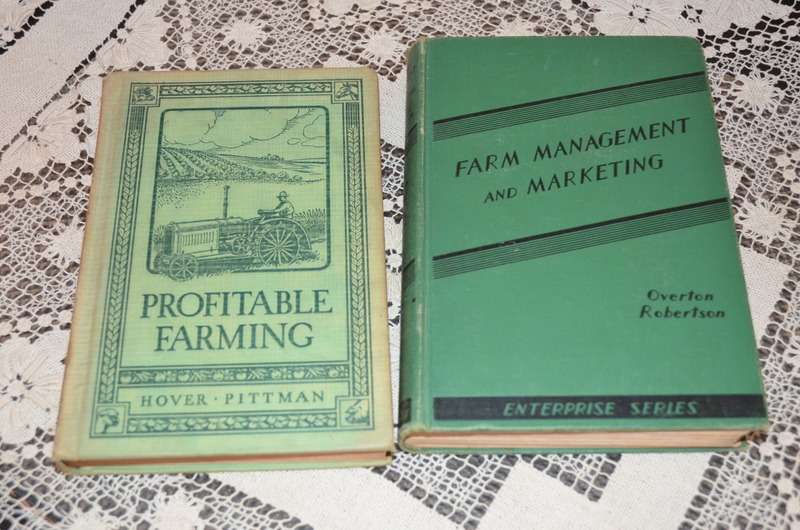 These two books (dated 1932 and 1936) were given to us by some of our favorite customers at the Farmer’s Market. Hmm…..were they trying to tell us something? Nancy Drew, Trixie Belden, The Bobbsey Twins, and Frank and Joe Hardy are always on the case at our house! 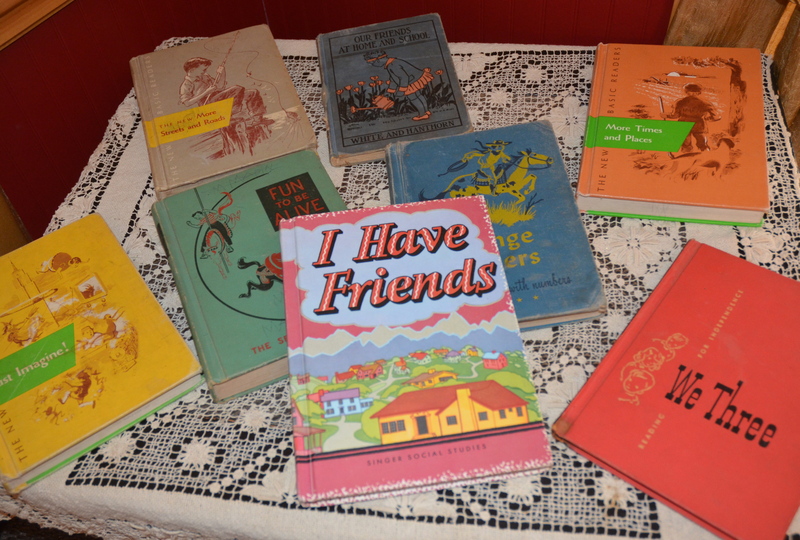 A sampling of elementary textbooks from the 1930s through the 1960s. As you can see, if you were hoping for a ritzy collection of leather bound first editions, you won’t find them here on the farm. But, if you were hoping for a lovely collection of rather worn out, extremely loved, and nicely stacked books on history, agriculture, mystery, different cultures, and a thousand and one other topics, then you’re in luck! We also have a nice collection (on various topics) of Reader’s Digest books. I’m not talking about the condensed versions. I mean the large coffee table books about topics in history and science. The pictures and illustrations in them are wonderful! I really think that most of this collecting can be blamed on my Mother. When I was a little girl (growing up on a farm in the country), one of my biggest treats was going to the library. Our local library was an absolutely magical place! The shelves were stocked with copies of fabulous books like Nancy Drew, Trixie Belden, Raggedy Ann and Andy, Little House on the Prairie, Little Women, The Boxcar Children, Five Little Peppers, Pollyanna, Ramona, and hundreds more. 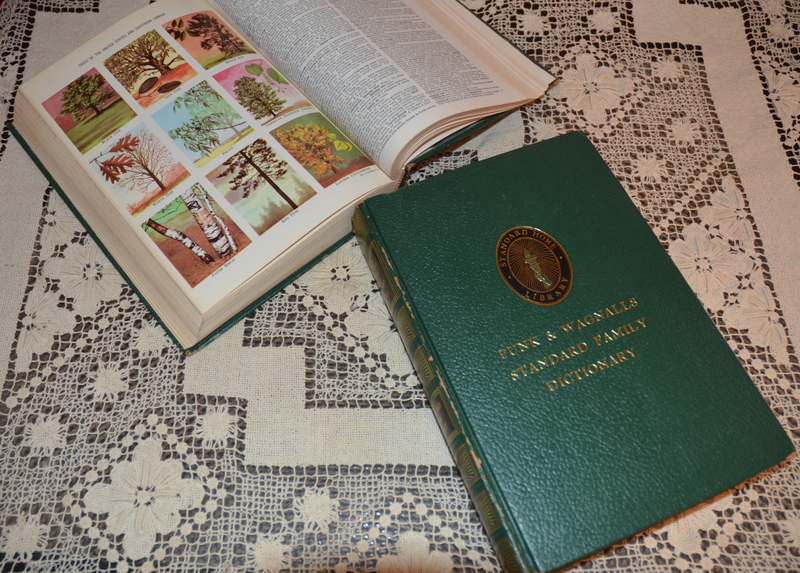 Each week, Mother and I would pore over the books. Somehow, Mother (who happened to be a school teacher), seemed to know exactly what book to point out for me to read next. All the books she helped me choose instantly became my new favorites. Many of my childhood days were blissfully spent curled up on a blanket in the yard or in front of the wood stove with a good book. I loved our little library so much, that on a recent trip back to the old home place, I stopped in to take a picture of my little girl in the children’s section. Happily, the old library still has it’s magic. I could barely get Elizabeth to leave! They always say that, “History repeats itself.” Once again, that’s proving to be true. 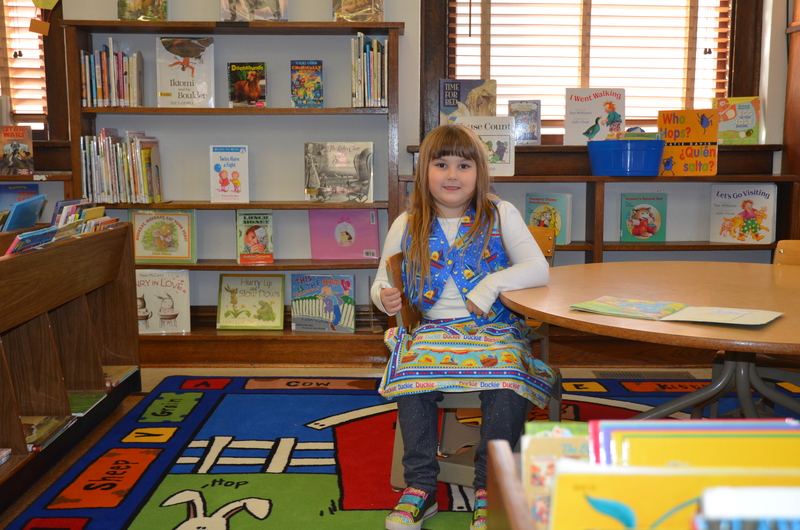 We have a terrific library in Calico Rock and one of Elizabeth’s favorite treats is going to the library. Somehow her Mother (who happens to be a school teacher), knows exactly the right books to help her choose! Whether it’s at the local library, or at home, books are a treasure to our family. From reading aloud to the family in the evenings, to finding a few precious minutes to read alone to myself, the ability to read is a true gift that I am so thankful to have. In my work as a teacher, it is a joy to see the delight on a young child’s face when they realize that they are able to read- and read well. I am so thankful that my wise Mother instilled a love of books and reading in me from my very youngest days. Speaking of books and reading, it’s almost time for me to begin school for today with Elizabeth. After that, I think we might head into town to check out the antique stores. The last time we there, I found a terrific old cookbook and Elizabeth found a copy of “Five Little Peppers”. Who knows what might be waiting today?! Sundays are one of my favorite days of the week. I love sleeping in on Sunday morning, then getting up and getting ready for Sunday school and church. Elizabeth and I always enjoy picking out pretty outfits and accessories to wear to the service. Our church is many years old and is just beautiful. The men in our congregation take turns teaching. It’s always a pleasure to get to hear the lessons they’ve prepared. It is such a blessing to be able to freely worship the Lord and to study His Word. I am thankful that we live in a country that protects this right. After a wonderful time of worship and fellowship, it’s time to head back to the farm. My mother usually heads up our Sunday lunches. Today, she has made a family favorite- roast beef! We have a delicious lunch of hot roast beef, mashed potatoes, gravy, and carrots. Then, Mom, Elizabeth, and I sit down to play a board game. The men sit nearby and discuss cows and the farm. After our game, Mom and Dad head back to their house. Elizabeth quickly decides to go and visit Joey’s parents, who live next door. Joey settles in for a little nap, and I am left with a few, rare, moments of solitude. I have to smile as I contemplate what to do with this lovely, quiet time. Should I write? Cut out a new dress pattern? Read? Simply sit and relax? All are tempting choices. Of course, dear reader, you know that I chose writing in the end. I simply had to share my sweet Sunday afternoon with you! Happily, the day isn’t over yet. Tonight, there’ll be time for listening to music, perhaps another game, and a delicious supper as we fully enjoy the start to another good week here on the farm.